Guillermo del Toro has been very open about this. All of his stories are not only connected, but are scenes in a single, long movie. Characters, plot-lines, and props run between these scenes, establishing the outline of the story. This article is only a guide for you to see the connective tissue. Movies del Toro produced, but did not direct, are virtually excluded from this list. Only one connects into del Toro’s universe. The rest are irrelevant, and evidently not considered part of his overall story. We will not be discussing sequels, spin-offs, or tie-in media produced without del Toro’s explicit involvement. The timeline would grow too long, and too irrelevant. This isn’t to say that they are excluded from the TVCU. Mimic 2 and Mimic 3: Sentinel are canon in the TVCU, of course. Robert E. Wronski Jr has come up with a rather clever theory for explaining Blade and Blade II’s inclusion in the same universe as Tomb of Dracula, but you’ll have to read The Horror Crossover Encyclopedia to find out. Similarly, we will not be discussing Tim Lebbon’s novel Hellboy: Natural Selection, which revealed Hellboy went up against the Mimic bugs. You should still listen to our interview with him. Who knows what else you might learn? I offer very little commentary. Del Toro, by nature, reveals more of his universe as movies pass. Pan’s Labyrinth explains Mimic, and explains some magic from Hellboy. Pacific Rim closes the Hellboy story. Every new story ties off loose ends. Any explanation I offer now will only be partial. These films are only single chapters from a novel, or random scenes from a longer movie. Edith’s mother’s tomb is carved to represent the Death from Hellboy II. 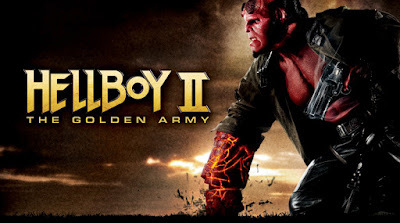 Del Toro has previously stated that particular Death is a unique reaper, created just to take Hellboy’s soul. How or why it appeared in the 1880s, long before his birth, is an open question. The ghosts are identical to the ghosts in The Devil’s Backbone, implying Crimson Peak and The Devil’s Backbone share a universe. The ending of the movie implies the story, from start to finish, is fiction. If so, how the real Edith came to know of Hellboy’s Death and del Toro-type ghosts is an unanswerable question. No crossovers, but its presence in the Guillermo del Toro universe is confirmed by Hellboy, Pan’s Labyrinth, and Crimson Peak. 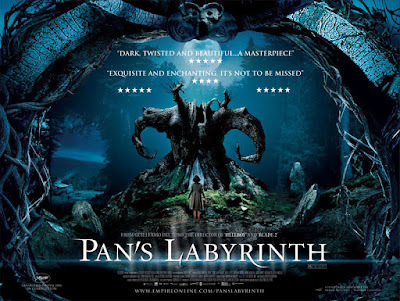 Dating is based on Carlos and Jamie’s appearance in Pan’s Labyrinth; if the actors have aged five years in the real world, it stands to reason their characters have aged five years as well, in lieu of in-universe evidence. Carlos and Jamie, from The Devil’s Backbone, are among the Communist rebels. The labyrinth by the house has the same pattern as the magic blood maze that revived Rasputin in Hellboy. Given Ofelia’s resurrection, it is safe to assume that labyrinth had the same purpose as Rasputin’s—but she was revived to the fairy-kingdom by her own innocent blood. The fairies make the same sounds as the Judas Breed from Mimic. Robert E. Wronski Jr. believes that Ofelia’s chalk door is a crossover with Beetlejuice. This seems likely. No crossovers, but its presence in the Guillermo del Toro universe is confirmed by Blade II. 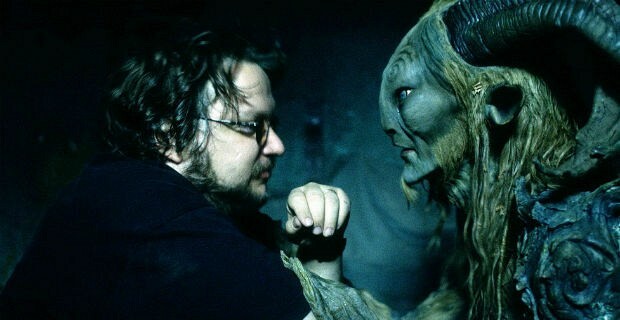 The Judas Breed and the fairies from Pan’s Labyrinth make the same sounds. 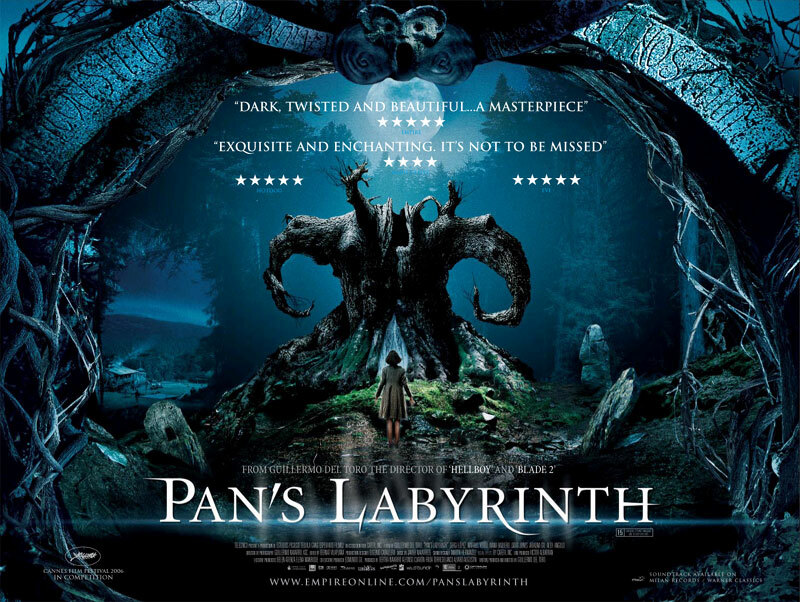 In Pan’s Labyrinth, the fairies begin in the form of bugs and insects, but transform when around someone who believed, or were about their work. It seems the Judas Breed was bred from untransformed fairies—and all their mimicry is their genetic programming for transformation reasserting itself. Scud wears a BPRD tee-shirt. I’d normally ignore this, but, considering how interconnected the rest of del Toro’s universe is, it seems meant as a crossover. BPRD, of course, is from Hellboy and Hellboy II. Presumably Scud and Blade worked with BPRD prior to the events of Blade II, since BPRD is a ultra-secret organization—and ultra-secret organizations aren’t given to handing tee-shirts out to the public. Eli Damaskinos, an ancient vampire, shows the same pure-white skin discoloration and body markings as the vampires from Cronos. In Cronos, vampires appeared to be ordinary humans—if slightly pale—until wounds ripped away their skin and revealed the ivory hide below. It’s possible that all of the vampires in Blade II are Cronos-vampires, but never had the chance to “mature” and emerge from their cocoon. Whatever the case, Damaskinos himself is a crossover with Cronos. The jarred babies from The Devil’s Backbone are on display in the BPRD trophy hallway. The maze of blood which revives Rasputin is in the same pattern as the labyrinth in Pan’s Labyrinth. 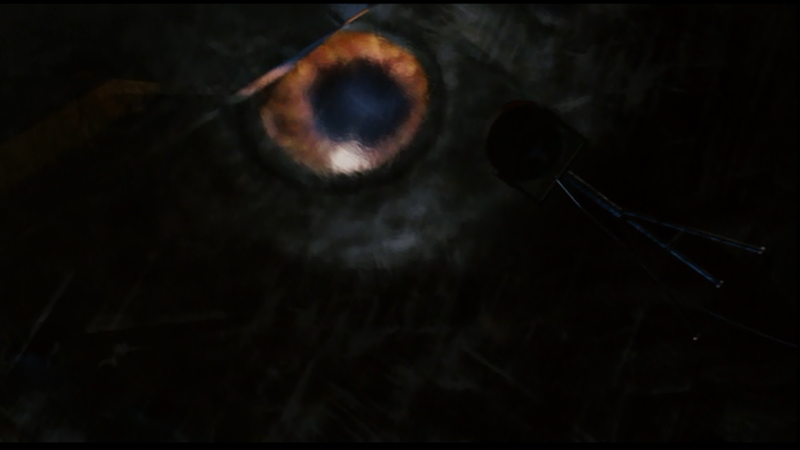 In the prologue, Nazis open a portal to the Ogdru Jahad’s crystal prison. 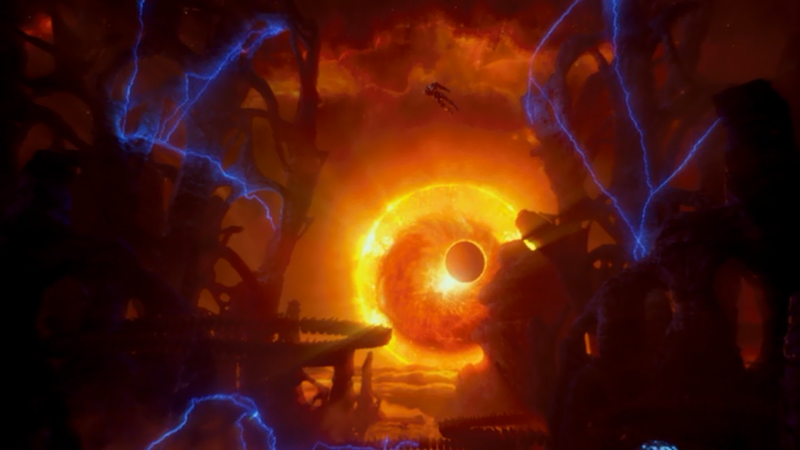 This same crystal prison is seen in the background of Pacific Rim, when Gypsy Danger falls into the alternate universe (more on this later). De Vermis Mysteriis is quoted. De Vermis Mysteriis first appeared in Robert Bloch’s story “The Shambler in the Stars” before reappearing regularly in H.P. Lovecraft’s own fiction. Sammael is referred to as a Class Five Entity. This designation originated in Ghostbusters (1984). The Spear of Destiny prop would be reused in Constantine (2005). This is an alternate timeline; Constantine does not fit into the Guillermo del Toro universe nor the TVCU, which uses the original Vertigo John Constantine. Fairies from Pan’s Labyrinth run rampant in the Troll Market, and also kept in jars in the BPRD’s trophy hall. Bethmoora is mentioned. Bethmoora first appeared in Lord Dunsany’s story “Bethmoora.” ”Glamours” are used. Glamours originated in Lord Dunsany’s novel The King of Elfland’s Daughter, and regularly appear in Simon R. Green’s Nightside. A theatre marquee advertises “See You Next n sday.” See You Next Wednesday appears all throughout the movies of John Landis. The Schufftein Glasses come from Daphne du Maurier’s short story “The Blue Lenses” (confirmed by del Toro’s commentary). Elder Things shamble around the Troll Market. One is held in BPRD. While the Elder Things are from H.P. Lovecraft’s The Mountains of Madness, they appear here in what was a sort of early screen-test for del Toro’s adaption. I choose to count these as a crossover with Lovecraft’s novella. The tooth fairies live in hive-houses identical to the fairy houses in Hellboy II: The Golden Army. Rise of the Guardians, the movie, is a modern-day sequel to Rise of the Guardians, the books. At the climax, Gypsy Danger slips into the alternate universe from which the kaiju originated. The Serizawa Scale is used to determine kaiju size. Serizawa was a scientist in the original Godzilla. A version of the GLaDOS operating system runs on jagers. GLaDOS is from Portal and Portal 2, a video game series from Valve. The similarities between the two are evident. Gypsy Danger's explosion, one imagines, killed the Ogdru Jahad, permanently ending their threat. What implication this has, if any, on the rest of del Toro's timeline remains to be seen--especially if Pacific Rim proves to be an alternate timeline.